There are many perceived benefits for writing as a guest poster on another blog or website. Reputation, experience and links all come instantly to mind, but times have changed since the first SEO pioneers set out to make easy gains through this practice. With the internet now more saturated than ever before, bloggers, webmasters and content creators have had to become more resourceful in the pursuit of positive attention from readers, customers and search engines alike. As the nature of SEO and the habits of internet users have changed, so have the potential benefits you can expect to gain from the act. 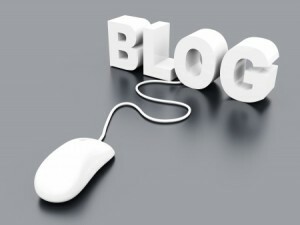 In the following article, we’ll discuss some important reasons that you should be guest blogging, beginning today. While guest posts on blogs should not read like an advertisement for your company or brand, you still have ample opportunity to promote a service or product that you provide that is both relevant and captivating. The fundamental rule of guest blogging is understood to be, “you scratch my back, and I’ll scratch yours”. Primarily, this relates to you providing quality content and in exchange, being able to provide a link back to your website. In areas where your cause, business or brand can be discussed in a relevant fashion, you should always seize the opportunity. Crafty writers can master this technique while simultaneously pinging for SEO in the article in a confined, tasteful fashion. Readers will view your plugs as more legitimate when they are not littered with links and webmasters will appreciate the approach. Even though your guest posts may be featured in a niche to which you already market, you can find plenty of new audiences through this technique. Any guest blogger should use the opportunity as a way to connect with other like-minded individuals who may have an interest in what he or she has to say. With guest blogging opportunities readily available, chances are that you can make positive impressions with your content on hundreds and thousands of new readers in a span of days. This obviously has implications for pushing traffic to your site, but is also a great way to “seal the deal” when it comes to credibility with audiences that may stumble across your website in the future. Each and every blog post you write – whether it is on your own blog or someone else’s – can be linked to Google Authorship. This simple approach to guest blogging can help you receive credit for the article in search engine rankings and simultaneously boost your reputation in select niches. As you create more and more quality content, your ranking in SERPs will continue to increase. Anyone who is pinging for SEO must consider Google Authorship these days, as it is a primary solution for achieving prominence for your content outside of the blogs on which they are posted. Guest blogging can be a great way to reap benefits outside of the traditional link building motivations. You will have the ability to reach new audiences, boost your SERP standings and give your brand a voice on platforms that might not otherwise lend them credence.